It seems like everyone is talking about probiotics these days. They support your GI tract by replenishing and maintaining the "friendly" bacteria. 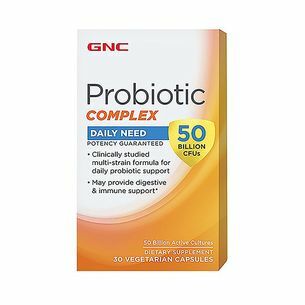 These friendly bacteria come in a variety of forms at GNC. Let's walk through some FAQs (frequently asked questions) about probiotics and why you can benefit from them. Why do we need probiotics? Not only can friendly bacteria support digestive and immune health, they promote regularity, too. How many probiotics should I take? Aren't all probiotics the same? Not all probiotics are created equal. They're living organisms that have the potential to die off when not properly produced, stored, or packaged. 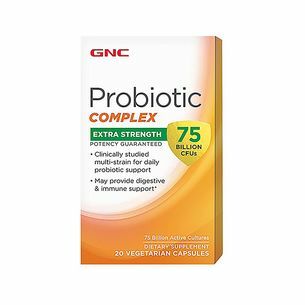 GNC's proprietary blend of probiotics are clinically studied. When you choose a GNC probiotic you're choosing a scientifically validated approach to supporting GI health; no guessing here. Also note that GNC probiotics contain FOS (fructooligosaccharides), a food source for living bacteria. What are probiotic strains and why are they important? The strain of a probiotic can be likened to a job title. Certain strains have been shown to work more effectively than others just as some strains are hardier than others, etc. The strain of probiotic is identified as L. acidophilus, B. bifidum, or B. lactis just to name a few. Can't I just take yogurt? Yes, you can eat yogurt to receive good bacteria but at a significantly lower potency. There's no telling how many probiotic organisms have died off while still in the container because there is typically no testing for it. Also, to receive 25 billion CFUs in yogurt form, you'd have to eat more than ten 4oz. servings of yogurt. And what do you do if you're dairy intolerant? The choice is easy here. The GI tract is important to your overall health; with probiotics you can provide the daily support it needs. 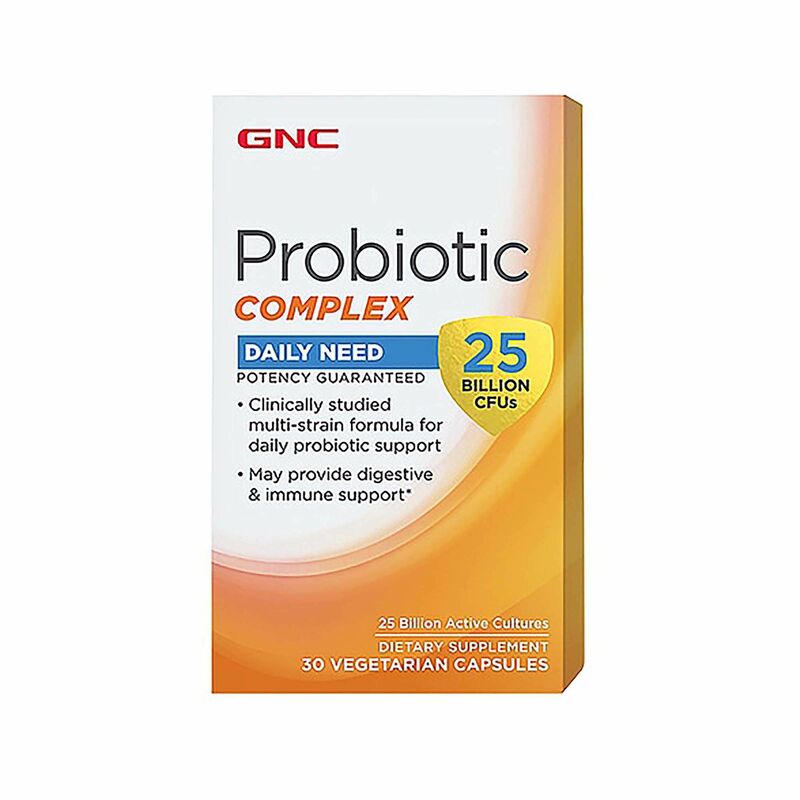 Whether you prefer probiotics in the form of a chew, capsules, or powder, GNC has the delivery mechanism you need to support your GI.